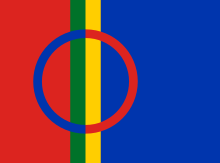 The Sami people (also Sámi or Saami), traditionally known in English as Lapps or Laplanders, are the indigenous Finno-Ugric people inhabiting the Arctic area of Sápmi, which today encompasses parts of far northern Norway, Sweden, Finland, the Kola Peninsula of Russia, and the border area between south and middle Sweden and Norway. The Sami are the only indigenous people of Scandinavia recognized and protected under the international conventions of indigenous peoples, and are hence the northernmost indigenous people of Europe. Sami ancestral lands span an area of approximately 388,350 km2 (150,000 sq. mi. ), which is approximately the size of Norway, in the Nordic countries. Their traditional languages are the Sami languages and are classified as a branch of the Uralic language family. Traditionally, the Sami have pursued a variety of livelihoods, including coastal fishing, fur trapping, and sheep herding. Their best-known means of livelihood is semi-nomadic reindeer herding. Currently about 10% of the Sami are connected to reindeer herding and 2,800 are actively involved in herding on a full-time basis. For traditional, environmental, cultural and political reasons, reindeer herding is legally reserved only for Sami people in certain regions of the Nordic countries. The Romani are a diasporic ethnicity of Indian origin, living mostly in Europe and the Americas. Romani are widely known among Anglophonic people by the exonym “Gypsies” (or Gipsies). They are called throughout the world by various names asRomany, Romowie, Roma, Zigeuner, Cyganie, Cigáni, or Gitano. In their own language, Romani, they are known collectively as Roma, Romane or Rromane (depending on the dialect). Romani are widely dispersed, with their largest concentrated populations in Europe—especially Central and Eastern Europe andAnatolia, Iberia, and Southern France. They originated in India and arrived in Mid-West Asia, then Europe, at least 1,000 years ago, either separating from the Dom people or, at least, having a similar history; the ancestors of both the Romani and the Dom left North India sometime between the sixth and eleventh century. Since the nineteenth century, some Romani have also migrated to the Americas. There are an estimated one million Roma in the United States; and 800,000 in Brazil, most of whose ancestors emigrated in the nineteenth century from eastern Europe. Brazil also includes Romani descended from people deported by the government of Portugal during the Inquisition in the colonial era. In migrations since the late nineteenth century, Romani have also moved to Canada and countries in South America. The Romani language is divided into several dialects, which add up to an estimated number of speakers larger than two million.The total number of Romani people is at least twice as large (several times as large according to high estimates). Many Romani are native speakers of the language current in their country of residence, or of mixed languages combining the two; those varieties are sometimes called Para-Romani. n: Јуруци), are a Turkish group of people, some of whom are nomadic, primarily inhabiting the mountains of Anatolia and partly Balkan peninsula. Their name derives from the Turkish verb yürü- (yürümek in infinitive), which means “to walk”, with the word yörük or yürük designating “those who walk, walkers”. Yörüks lived within the Yörük Sanjak (Turkish: Yörük Sancağı) which was not a territorial unit like othersanjaks but a separate organisational unit of the Ottoman Empire. The Bakhtiari (Persian: بختیاری‎) are a southwestern lurish tribe. They speak the Bakhtiari dialect, a southwestern Iranian dialect, belonging to the Luri language. A small percentage of Bakhtiari are still nomadic pastoralists, migrating between summer quarters (sardsīr or yaylāq) and winter quarters (garmsīr or qishlāq). Numerical estimates of their total population widely vary. Bakhtiaris primarily inhabitChahar Mahaal and Bakhtiari and eastern Khuzestan, Lorestan and Isfahan. In Khuzestan, Bakhtiari tribes are primarily concentrated in the eastern part of the province. Qashqai also spelled Qeshqayı, Ghashghai, Ghashghay, Gashgai, Gashgay, Kashkai, Qashqay,Qashqa’i and Qashqai: قشقایی) are a conglomeration of clans of different ethnic origins, including, Arab, Kurdish Lori and mostlyTurkic. They mainly live in the Iranian provinces of Fars, Khuzestan, Kohgiluyeh and Boyer-Ahmad Province, Chaharmahal and Bakhtiari Province, Bushehr and southern Isfahan, especially around the city of Shiraz and Firuzabad in Fars. After assimilation politics since Pahlavi, almost all of them are bilingual, speaking the Qashqai language – which is a member of the Turkic family of languages and which they call Turki – as well as (in formal use) the Persian language. Majority of Qashqai people were originally nomadic pastoralists and some remain so today. The traditional nomadic Qashqai travelled with their flocks each year from the summer highland pastures north of Shiraz roughly 480 km or 300 miles south to the winter pastures on lower (and warmer) lands near the Persian Gulf, to the southwest of Shiraz. The majority, however, have now become partially or wholly sedentary. The trend towards settlement has been increasing markedly since the 1960s. The Qashqai are made up of a number of tribes and sub-tribes including the Amele, Derre-Shuri/Dere-Shorlu, Kashkyoli,ShishBaluki/Shishbeyli, Farsimadan/Eymur, Qaracha, Rahimli and Safi -Khanli. The Bedouin (/ˈbɛdʉ.ɪn/, also Bedouins; from the Arabic badw بَدْو or badawiyyīn/badawiyyūn بَدَوِيُّون, plurals of badawī بَدَوِي,) are a part of a predominantly desert-dwelling Arabian ethnic group traditionally divided into tribes, or clans, known in Arabic as ʿashāʾir (عَشَائِر). The Bedouin form a part of, but are not synonymous with, the modern concept of the Arabs. Bedouins have been referred to by various names throughout history, including Qedarites in the Old Testament and “arab” by the Assyrians (ar-ba-a-a being a nisba of the noun arab, a name still used for Bedouins today). While most Bedouins have abandoned their nomadic and tribal traditions for modern urban lifestyle, they retain traditional Bedouin culture with concepts of belonging to ʿašāʾir, traditional music, poetry, dances (like Saas), and many other cultural practices. Urbanised Bedouins also traditionally organise cultural festivals, usually held several times a year, in which they gather with other Bedouins to partake in, and learn about, various Bedouin traditions – from poetry recitation and traditional sword dances, to classes teaching traditional tent knitting and playing traditional Bedouin musical instruments. Traditions like camel riding and camping in the deserts are also popular leisure activities for urbanised Bedouins who live within close proximity to deserts or other wilderness areas. The Afar people live in northeastern Ethiopia, southeastern Eritrea, and Djibouti, where, with the Issas, they are the dominant people. It is thought that the Afar were the first of the present inhabitants of Ethiopia to elaborate their pastoral life into full-scale nomadism, descending from the highlands of southeast Ethiopia and migrating to the stony desert area of Danakil, the name sometimes used by Arabs to identify them. The Afar subsistence economy depends on livestock, especially goats, some camels, and, more rarely,cattle. There are some exceptions, such as fishermen in the coastal areas and agriculturalists in the Assau oasis. The Afar also mine and export salt. The Samburu are a Nilotic people of north-central Kenya that are related to but distinct from the Maasai. The Samburu are semi-nomadic pastoralists who herd mainly cattle but also keep sheep, goats and camels. The name they use for themselves is Lokop or Loikop, a term which may have a variety of meanings which Samburu themselves do not agree on. Many assert that it refers to them as “owners of the land” (“lo” refers to ownership, “nkop” is land) though others present a very different interpretation of the term. The Samburu speak Samburu, which is a Nilo-Saharan language. There are many game parks in the area, one of the most well known is Samburu National Reserve. The Maasai (sometimes spelled “Masai”) are a Nilotic ethnic group of semi-nomadic people inhabiting southern Kenya and northernTanzania. They are among the best known local populations due to their residence near the many game parks of Southeast Africa, and their distinctive customs and dress. 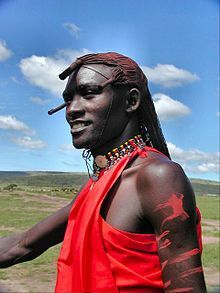 The Maasai speak Maa (ɔl Maa), a member of the Nilo-Saharan language family that is related to Dinka and Nuer. They are also educated in the official languages of Kenya and Tanzania, Swahili and English. The Maasai population has been reported as numbering 841,622 in Kenya in the 2009 census, compared to 377,089 in the 1989 census. 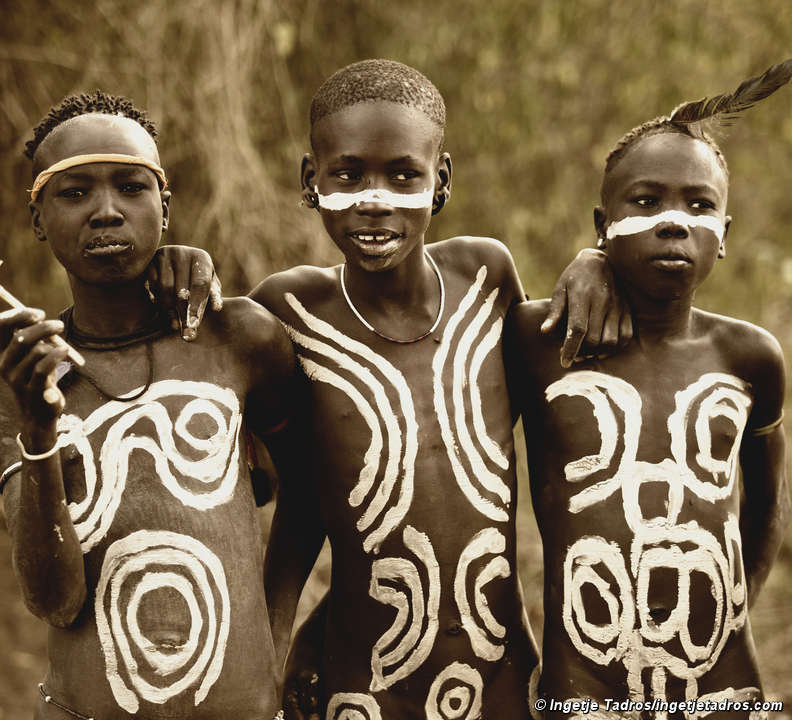 The Hadza, or Hadzabe, are an ethnic group in north-central Tanzania, living around Lake Eyasi in the central Rift Valleyand in the neighboring Serengeti Plateau. The Hadza number just under 1,000. Some 300–400 Hadza live as hunter-gatherers, much as their ancestors have for thousands or even tens of thousands of years; they are the last full-time hunter-gatherers in Africa. The Hadza are not closely genetically related to any other people. While traditionally classified with the Khoisan languages, primarily because it has clicks, the Hadza language appears to be an isolate, unrelated to any other. The descendants of Tanzania’s aboriginal hunter-gatherer population, they have probably occupied their current territory for several thousand years, with relatively little modification to their basic way of life until the past hundred years. Since the 18th century, the Hadza came into increasing contact with farming and herding people entering Hadzaland and its vicinity; the interactions were often hostile and caused population decline in the late 19th century. The first European contact and written accounts of the Hadza are from the late 19th century. Since then, there have been many attempts by successive colonial administrations, the independent Tanzanian government, and foreign missionaries to settle the Hadza, by introducing farming and Christianity. These have largely failed, and many Hadza still pursue virtually the same way of life as their ancestors are described as having in early 20th-century accounts. In recent years, they have been under pressure from neighbouring groups encroaching on their land, and also affected by tourism and safari hunting. The Barabaig are a nomadic tribe of the Datooga people based in the northern volcanic highlands near Mount Hanang in Manyara Region, Tanzania. Their population is about 50,000. Many Barabaig were forcibly evicted from the Basotu Plains in the 1990s to make room for a large-scale wheat-growing project of the Canadian and Tanzanian governments. The Barabaig live by hunting, farming, and animal husbandry. There is a custom in which they hunt their halots (or enemies) only with spears, which are: elephants, lions, and other animals. Anyone who does so will be considered as a “ghadyirochand”, or a hero, and is rewarded with gifts of cattle, women, and prestige in his tribe. The Karamojong live in the southern part of Karamoja region in the north-east of Uganda, occupying an area equivalent to one tenth of the country. According to anthropologists, the Karamojong are part of a group that migrated from present-day Ethiopia around 1600 A.D. and split into two branches, with one branch moving to present day Kenya to form the Kalenjin group and Maasai cluster. The other branch, called Ateker, migrated westwards. Ateker further split into several groups, including Turkana in present day Kenya,Iteso, Dodoth, Jie, Karamojong, and Kumam in present day Uganda, also Jiye and Toposa in southern Sudan all of them together now known as the “Teso Cluster” or “Karamojong Cluster”. The main livelihood activity of the Karamojong is herding livestock, which has social and cultural importance. Crop cultivation is a secondary activity, undertaken only in areas where it is practicable. Due to the arid climate of the region, the Karamojong have always practiced a sort of pastoral transhumance, where for 3-4 months in a year, they move their livestock to the neighboring districts in search of water and pasture for their animals. The Great Lakes Twa, also known as Abatwa or Ge-Sera, or in English Batwa, are a pygmy people who are generally assumed to be the oldest surviving population of the Great Lakes region of central Africa, though currently they live as a Bantu caste. Current populations are found in the states of Rwanda, Burundi, Uganda, and the eastern portion of the Democratic Republic of Congo. In 2000, they numbered approximately 80,000 people, making them a significant minority group in these countries. Traditionally, the Twa have been a semi-nomadic hunter-gatherers of the mountain forests living in association with agricultural villages, much as other Pygmy peoples do. When the Hutu, a Bantu-speaking people, arrived in the region, they subjugated ‘bush people’ (hunter-gatherers) they called Abatwa, which are generally assumed to be the ancestors of the Twa today, though it may be that the Twa arrived alongside the Hutu, and either were a distinct people from the original inhabitants, or have mixed ancestry. Around the 15th century AD, the pastoralist Tutsi arrived and dominated both the Hutu and the Twa, creating a three-caste society with the Tutsi governing, the Hutu the bulk of the population, and the Twa at the bottom of the social scale, simultaneously despised, admired, and feared. For several hundred years, the Twa have been a small minority in the area, currently 1% in Rwanda and Burundi, and have had little political role, though there were at times Twa in the government of the Tutsi king. The Vezo is the term the semi-nomadic coastal people of southern Madagascar use to refer to people that have become accustomed to live from sea fishing. The Vezo speak a dialect of the Malagasy language, which is a branch of the Malayo-Polynesian language group derived from the Barito languages, spoken in southern Borneo. They currently populate most of the littoral zone along Madagascar’s west coast between Toliara and Mahajanga. “Vezo” literally means the people who fish, but also has been known to mean ‘to struggle with the sea’.